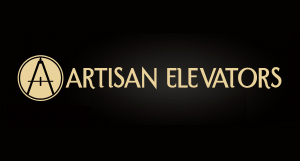 What are you looking for in home stairlifts? If it’s convenience and comfort at an affordable price, Indy Stair Lifts is your best choice. We offer a variety of home stairlifts for straight and curved staircases that are designed for comfort and available with 10 year warrantees that exceed our competitors’ by several years. Our top of the line home straight stairlifts include the Indy Pinnacle and Indy Lux. The Pinnacle is efficient, comfortable, and reliable, with a patented helical drive system that makes every trip smooth and comfortable. The Pinnacle lifts up to 350 pounds with an adjustable seat that swivels at the upper landing for easy exit and entry. It also includes a safety sensor that will stop the stair lift when it encounters an obstruction. Next on our list of home stairlifts is the Indy Lux with a weight capacity of 400 pounds and a seat width of 21.75 inches that accommodates a variety of body types and sizes. It features a direct drive motor with two 12 volt batteries that continue to lift during power outages. It also has obstacle sensors that stop for obstructions and allow you to remove whatever is in the way. Curved stairways prevent some people from getting home stairlifts, but the Indy Curve is custom designed to fit the specifications of your stairway and reach around corners. It also supports up to 400 pounds with a wide seat width to fit a range of body types. So, you see that Indy Stair Lifts offers straight and curved home stairlifts that accommodate all types of stair ways and provide independence and flexibility for the users. 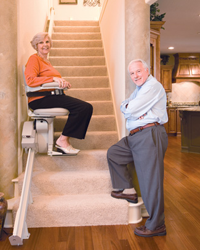 If you or a loved one has trouble climbing stairs, we invite you to check out Indy Stair Lifts. Call us today at 1-888-203-5754 for information about our top of the line models. Speak with an expert who can help you select the best model and arrange for a technician to visit to examine your staircase and plan for installation, which will be done quickly and efficiently at an economical price.